Police officers and firefighters responded to the scene Wednesday evening after the truck crashed into the bank building. Police said a truck went approximately 120 yards through the grass area Wednesday evening and then the parking lot before striking the First State Bank. Evidence at the scene indicated that the driver did not hit his brakes at any point. The man who crashed his truck into the First State Bank building on Clinton Avenue in Washington C.H. Wednesday evening was charged with operating a vehicle while intoxicated and failure to control, according to police. Shortly after 7 p.m. Wednesday, Billy Joe Doughty, Jr., of 1005 Country Club Court, was heading westbound in his 2005 Dodge Dakota when he reportedly failed to negotiate a slight right turn onto Clinton Avenue. The vehicle traveled through the newly-planted grass area on the First State Bank property, 543 Clinton Ave., before crashing into the building. 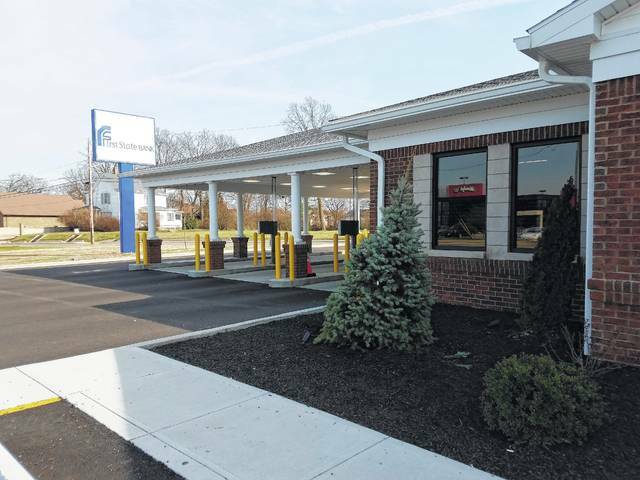 Police said the vehicle went approximately 120 yards through the grass area and then the parking lot before striking the bank. Evidence at the scene indicated that the driver did not hit his brakes at any point. Also based on evidence at the scene, Doughty was charged with an OVI. Any damage to the First State Bank building was minor, however several trees were damaged. 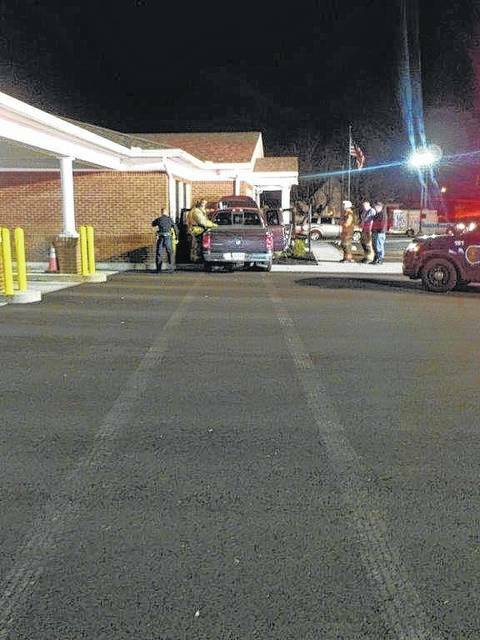 https://www.recordherald.com/wp-content/uploads/sites/27/2017/03/web1_DSCN0911.jpgPolice officers and firefighters responded to the scene Wednesday evening after the truck crashed into the bank building. https://www.recordherald.com/wp-content/uploads/sites/27/2017/03/web1_20170309_150030.jpgPolice said a truck went approximately 120 yards through the grass area Wednesday evening and then the parking lot before striking the First State Bank. Evidence at the scene indicated that the driver did not hit his brakes at any point.